On a wet, miserable (typical English?) July evening, Mercer joined Investec for this season’s third Consultant cricket match. With last year’s fixture cut short by the elements both sides were keen to play despite conditions not being ideal. Mercer batted first and openers Mark Guiler and Kishen Ganatra had to contend with what some may have described as lively bowling from captain Graeme Baker. Having safely seen off the first 5 overs without loss, Ganatra fell to the wily spin of Jeff Boswell who followed up in his next over with a second wicket of Ed Cuschieri. Mercer’s innings soon got back on track with some lusty blows from George Milligan and Mark Guiler both of whom retired after 25 runs. Father and son, Clyde and Jayden Rousouw combined to good effect, both putting in some tidy bowling from the Allotments End, with Rousouw senior succeeding in removing Dev Singh’s off stump before he had got into his stride. Alex Geere and Tom Garner put on some quick runs towards the end of the innings, although Geere’s score of 21 n.o. 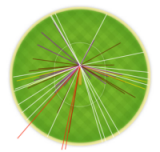 was ably assisted by Tom Peberdy spilling what most of his colleagues deemed a dolly of a catch early in his innings. With the rain becoming more persistent the captains agreed to shorten the innings to 18 overs to increase the chance of getting a result. The final total against Investec’s strongest bowling attack of the season was a commendable 132 for 3. With no let-up in the rain, Proctor and Fuller set about the Mercer attack as if the game was going to be affected by Messrs Duckworth and Lewis. Their impressive strike rate inevitably aided by the difficult conditions for the bowlers, some of whom seemed to be doing Bambi on ice impressions. The opening attack of Ganatra and Patel were both despatched to the boundary and it was only when veteran Brundrett was introduced that the scoring rate dipped. Brundrett’s technique of taking considerable pace off the ball worked well in the gloomy conditions. The rain stopped halfway through the innings but conditions underfoot favoured the batting side. Some impressive bodyline bowling by Cuschieri kept the batsmen literally on their toes but despite this, maximum scores of 25 followed from Proctor, Fuller and Baker with a few 6’s thrown in for good measure. Some powerful hitting from debutant Tom Dixey (I think he’s played before) and Thys Louw saw Investec reach the target with 6 overs to spare with experienced players like Aird and Doyle surplus to requirements on this occasion. The traditional after game“boat race” was an altogether much closely fought affair with Mercer winning by a short head to keep some of the bragging rights until next year. Thanks to Alex and the team from Mercer, we look forward to next year.